CSUN students talk about career opportunities with Andy Justice, the vice president of business development Numatic Engineering. Photo by Luis Garcia. More than 40 tech and engineering companies hold informational sessions with hundreds of CSUN students. Photo by Luis Garcia. 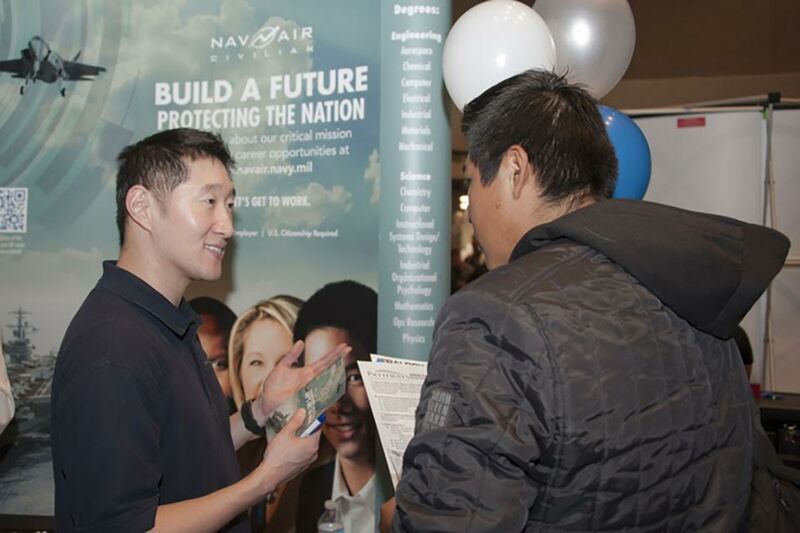 A CSUN student talks to a Navy Air Systems Command (NAVAIR) representative about the company. Photo by Luis Garcia. 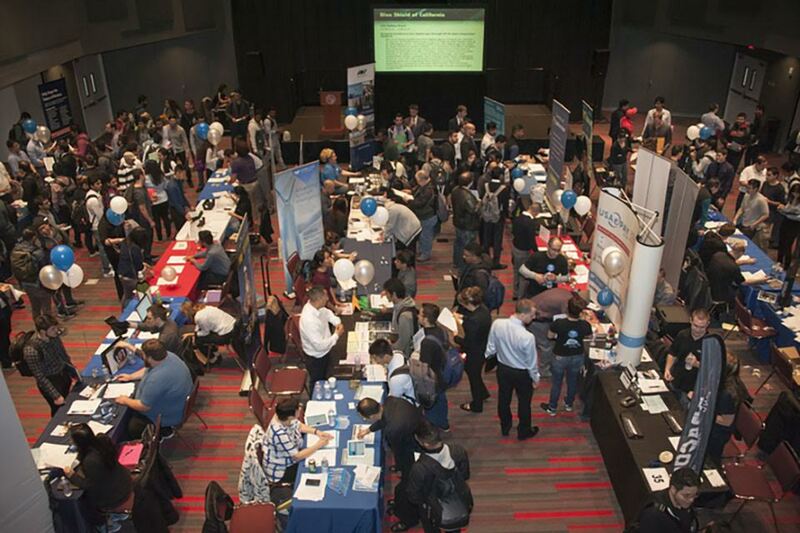 Hundreds of California State University, Northridge students in the College of Engineering and Computer Science filled the University Student Union, Northridge Center on Feb. 21 in hopes of getting valuable career advice and potential employment at the bi-annual TechFest event. When the event kicked off, students were able to talk to representatives from more than 40 different technology and engineering companies about their job experience, transitioning from college to the professional world and tips for success. 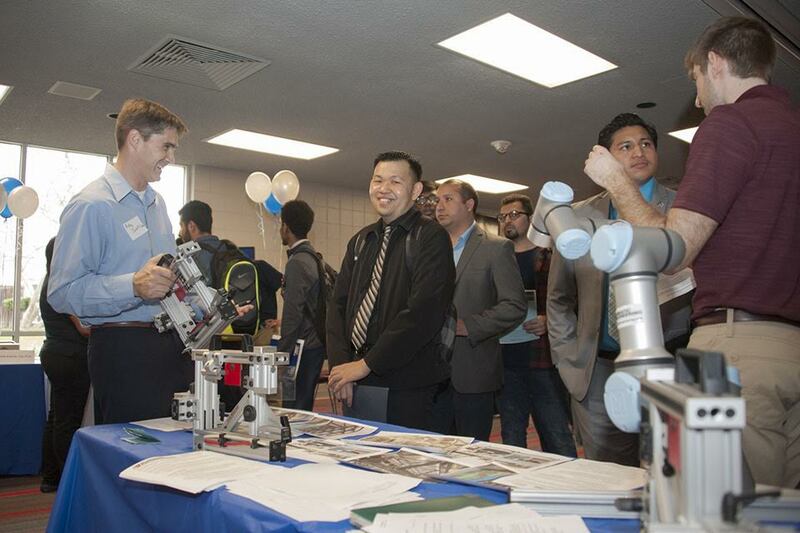 Some students, such as recent CSUN graduate Mahyar Shavirian ’14 (Engineering Management), were even given interviews for potential employment during the event. Because CSUN’s alumni network is rapidly growing, the majority of company representatives at TechFest were CSUN graduates looking to bring in the next wave of Matadors. The second half of TechFest consisted of informational sessions held by j2 Cloud Services, XyPro, LA Sanitation and Blue Shield California. The companies talked with students about internships, the overview of their companies and much more. TechFest has been held since 2008. For more information, visit the TechFest website.